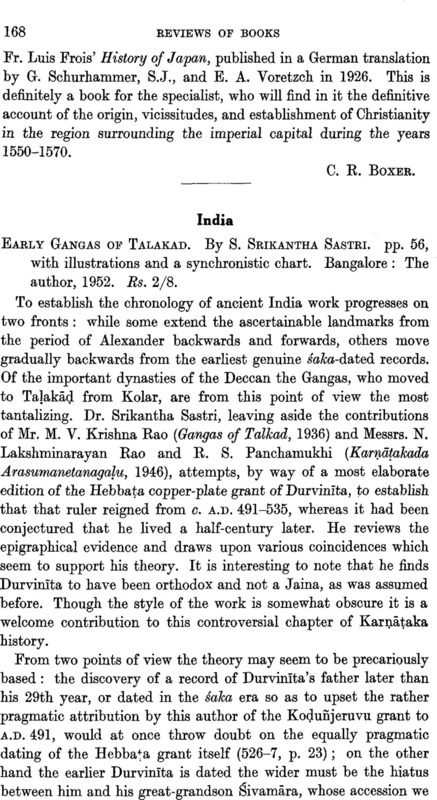 Early Gangas of Talakad. By S. Srikantha Sastri. pp. 56, with illustrations and a synchronistic chart. Bangalore: The author, 1952. Rs. 2/8.